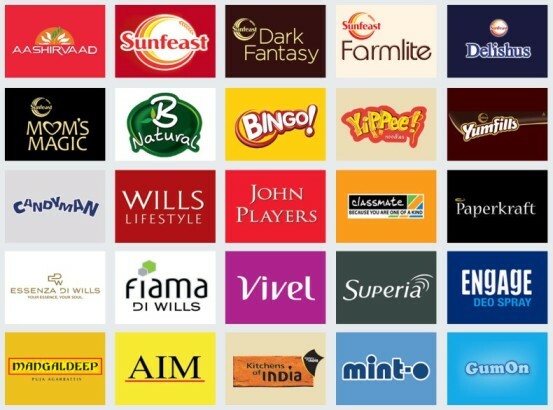 *The User understands that the Company through the Site provides services to its Users to appoint or take up Distribution/Franchisee/Sales Agency. All Content listed on the Site is third party User generated content which is transmitted and/or hosted on the Site. Company neither originates nor initiates the transmission nor selects the sender and receiver of the transmission, nor modifies the information contained in the transmission. *The Site is operated by Hello Buyer ( Mother Company ). The Services are offered to the User conditioned on the acceptance of the User without modification of the terms, conditions, and notices contained herein. Use of the Site by a User constitutes agreement to all such terms, conditions, and notices. 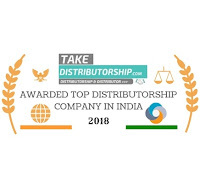 If the User does not agree with any part of the Agreement, these terms, conditions and notices, it/they must not use the Services of takedistributorship.com. *Content and features on the Site is made available to Users free of charge. However, Company reserves the right to terminate access to areas or features of the Site to Users at any time with or without giving any reason, with or without notice. Company also reserves the universal right to deny access to particular Users to any/all of its Services and/or content without any prior notice/explanation in order to protect the interests of Company and/or other visitors to the Site. Company reserves the right to limit, deny or create different type access to the Site and its content features with respect to different User(s), or to change any of the features or introduce new features without prior notice. Company reserves the right to start charging for accessing the services any time in future which will be applicable to existing and new users alike. *Users are advised to exercise due caution while connecting with a prospective organisations / individuals on the Site. Users must undertake interaction with organizations and/or individuals located on or through the Site, with reasonable caution and after undertaking thorough diligence on such organizations and/or individuals. Neither the Company nor its director's, employees, officers or agents shall be liable to any User or otherwise, for any illegal or fraudulent interaction with organizations and/or individuals located on or through the Site. *Please note and understand that we start or submit client profile for distributorship after registration amount credit in our account. and the amount will not refunded in any situation/condition to client. expect if we will not able to offer any company to client then amount should be refunded after submitting your profile if brand deny your profile or not accept your profile company will not responsible for that. and client can not claim back their registration amount. so its very important to read carefully this agreement before using or paying amount from our website. *IMP: The Company reserves the right to change the terms, conditions, and notices under which the Services are offered, including but not limited to the changes associated with the User of the Services and changes on account of legal and/or statutory amendments. The User is responsible for regularly reviewing these terms and conditions and is advised to regularly check for any amendments or updates to the terms and conditions contained and/or the Agreement. All amendments shall become effective immediately upon our posting to/ on the Site. *The Company stores temporarily or as an intermediary, User information on computers that are protected by physical as well as technological security devices. Company records the IP address(es) of each User of the Site and tracks its Users by the use of 'Click stream cookies', inter-alia in compliance with statutory laws and regulations and for security reasons. If the User objects to any of this please do not use the Site. *Section TD223: If Client leave project by its self for his/her personal/professional/any reason/issue and didn't want any distributorship or work with us or changed his/her plan. So Client have to inform us within 15 working days from payment date to get the refund amount. After 15 Working days the amount will not refund at any condition. 1. All Users are advised to be very careful while doing business with individuals, body corporate or companies from any part of the world. 2. Users are advised to exercise due caution while discussing with a prospective organisations/individuals on the Site to appoint them or become their Distributors. Users must undertake interactions or transactions with organizations and/or individuals located on or through the Site, with reasonable caution and after undertaking thorough diligence on such organization and/or individual. Neither the Company nor its director's, employees, officers or agents shall be liable to any User or otherwise for any illegal or fraudulent interaction or transaction with organizations and/or individuals located on or through the Site. 3. Users are advised to not get into exchange of cash or monies without doing due diligence and before finalizing a legal/binding contract. 4. We are not responsible if any company cheat / fraud against client. so keep it in mind and do transactions after trusting or checkout all the terms issued from company.